﻿ How to calculate the switch’s backplane bandwidth? When we select switch, a common reference indicator is the backplane bandwidth. How is the backplane bandwidth calculated? The backplane bandwidth of the switch is the maximum amount of data that can be throughput between the switch interface processor or the interface card and bus. 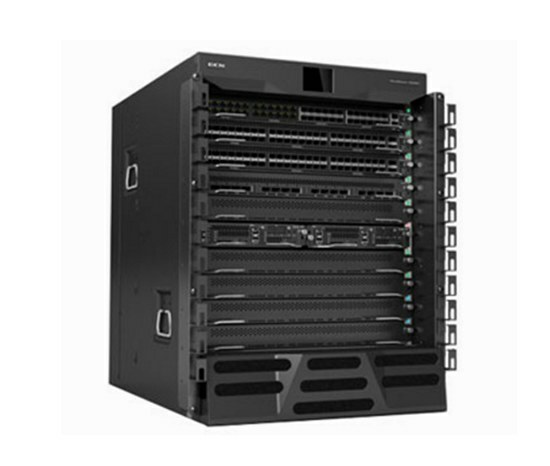 The backplane bandwidth marks the total data exchange capability of the switch, and the unit is Gbps, also called the exchange bandwidth. The higher the backplane bandwidth of a switch, the stronger the ability to process data, but also the higher the cost of design. Note: When the Ethernet frame is 64byte, consider 8byte frame header and 12byte frame gap Of the fixed overhead. So a wire-speed Gigabit Ethernet port forwarding 64byte packet when the packet forwarding rate of 1.488Mpps. Fast Ethernet’s wire-speed port packet forwarding rate is exactly one-tenth of Gigabit Ethernet, which is 148.8kpps. * For 10 Gigabit Ethernet, the packet forwarding rate for a wire-speed port is 14.88Mpps. * For Gigabit Ethernet, the packet forwarding rate for a wire-speed port is 1.488 Mpps. * For Fast Ethernet, the packet forwarding rate for a wire-speed port is 0.1488Mpps. * For OC-12 POS ports, the packet forwarding rate for a wire-speed port is 1.17Mpps. * For OC-48 POS ports, the packet forwarding rate for a wire-speed port is 468Mpps. Examine the total bandwidth that all ports on the switch can provide. Calculate the number of ports * The corresponding port rate * 2 (full-duplex mode) If the total bandwidth ≤ nominal backplane bandwidth, then the backplane bandwidth is linear. Layer 3 packet forwarding rate = gigabit port number × 1.488Mpps + 100M port number * 0.1488Mpps + other types of port number * the corresponding calculation method, if the rate can be ≤ nominal three packet forwarding rate, then the switch in the third layer Exchange time can be done wire speed. So, if we can meet the above three conditions, then we say that this switch really does a linear non-blocking.